On the 9 July 2017 we held a competition at home for our riders. 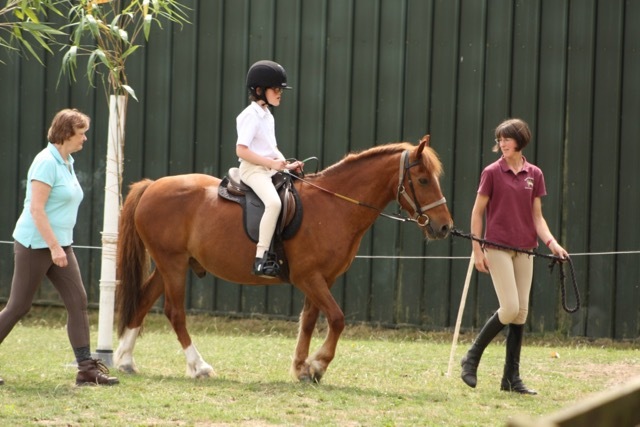 There were a number of classes that were offered including Introduction to Dressage, Dressage to Music, Pick Your Own Dressage and Countryside Challenge. The great thing about doing this at home was that the horses and ponies did not have to travel so we could offer it to all our riders. 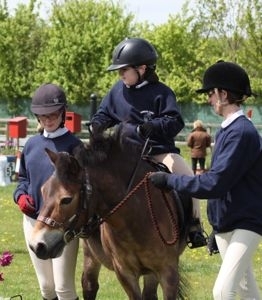 It was a great experience for some of our younger horses in preparation for them going out to compete at RDA competitions. It also meant that some of more inexperienced riders got to compete at home, where it was familiar rather than by being overwhelmed by competing in an unfamiliar environment. The horses and ponies all behaved themselves brilliantly and the riders all did a fantastic job making judging very difficult. Some of our riders who have competed regularly did a good job but it was really good to see some new faces doing well too. 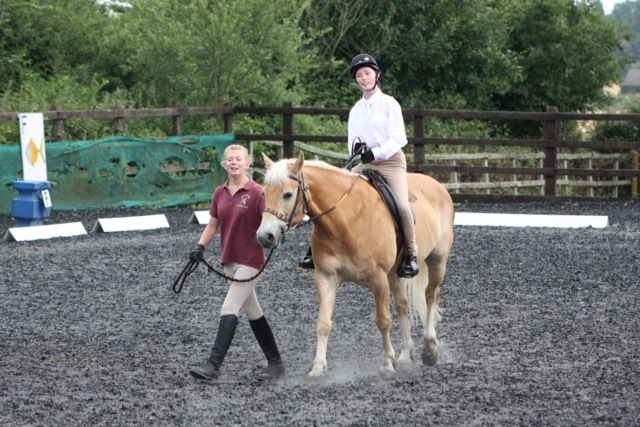 Gina had never ridden a dressage test or even ridden in the outdoor manege but did an excellent job in the walk only Introduction to Dressage to come second. 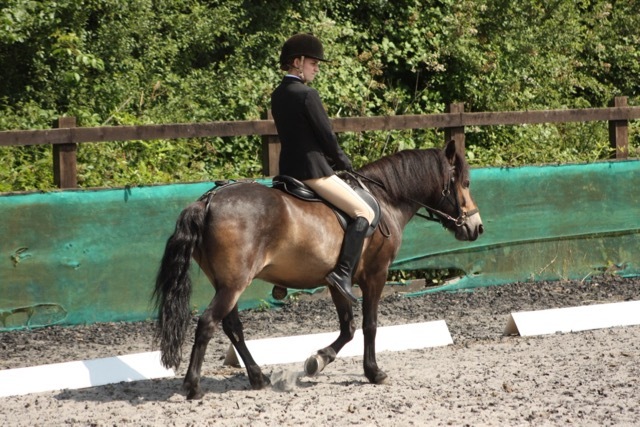 Boycie again demonstrated he plans to follow in Tawny’s footsteps when Holly, in her first RDA competition, won the Freestyle Dressage to Music. All the competitors got a rosette with their favourite pony on it for taking part. 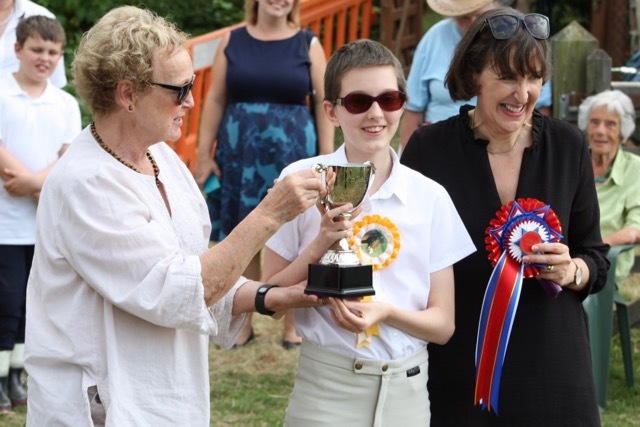 The winners of each class got a trophy and the first six places all got rosettes that were kindly sponsored by Kampa, The Peck family and Murphy the horse (who belongs to one of our helpers – Pat Rogers Harrison. In addition we presented two special new trophies that will be awarded annually. Firstly there is the Jet Trophy for the dressage rider with the highest score across the competition. Some of you may not remember but Jet was very successful at dressage both in RDA competitions taking many riders to the National Championships and also with Anne before she switched to driving. The second was the John Adler Trophy for the rider who scored the most points across the Countryside Challenge classes. John was our longest serving trustee until he retired at the end of December 2016, sadly earlier this year John passed away. John was always keen to give riders new opportunities to provide enjoyment as well physical and educational benefits. Each trophy (which will get returned each year) came with a very posh rosette that the riders will keep. It was great to see so many of our riders have the opportunity to compete and all do so well. Alongside the event, some of our volunteers offered strawberry teas for refreshment. These were very popular with both riders and spectators and raised over £400. We also need to say thank you to the judges who gave up their time to adjudicate on the day, we also need to thank Suzette for providing a feast for our judges for their lunch. Lastly we need to say a big thank you to all the volunteers who helped on the day, the staff and horses worked hard but the day would not be possible without all the volunteers who led, side-walked, helped organise riders and acted as stewards.